Thank you for visiting the online home of C & H Mills Farms of Murdock, NE and the Harvey Mills family. We grow and wholesale certified and common varieties of native grass seed. 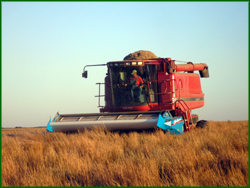 For over 25 years we have been providing high quality native grass seed to retailers. Each year we have large quantities of certified, market-ready seed. View our current inventory then contact us to place an order. Even though technology has changed how we do business today, our values have not changed. We still provide high quality seed, competitive prices and friendly service that you will appreciate. Visit the rest of our site to learn about our history, the seed we grow and answers to your questions. If you do not find what you are looking for online, contact us.